While many job seekers know that Amazon.com hires many people to work from home seasonally, with the bulk of hiring done in response to the Christmas shopping rush, it’s important to note that they actually hire home-based workers year-round. Not as many, of course, but on a regular basis just the same. 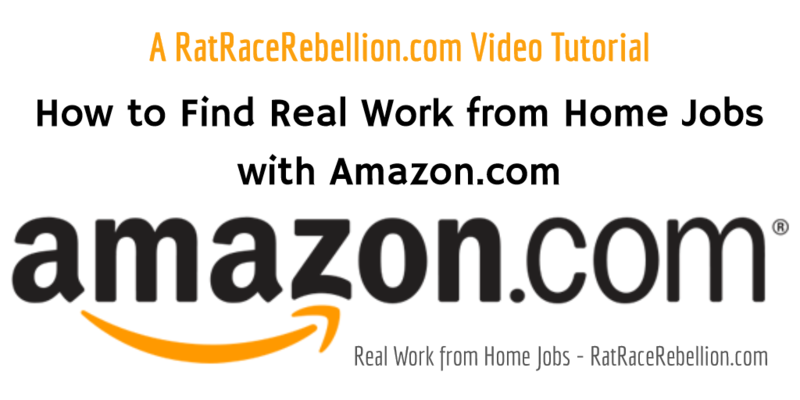 This VIDEO TUTORIAL will show you 4 WAYS to find real work from home jobs with Amazon.com TODAY! Enjoy and, as always, please share with your friends and family! Click here to view this video directly on YouTube or view below. Be sure to subscribe to your YouTube channel for more videos like this! This entry was posted in Hiring Companies and tagged Amazon. Bookmark the permalink.